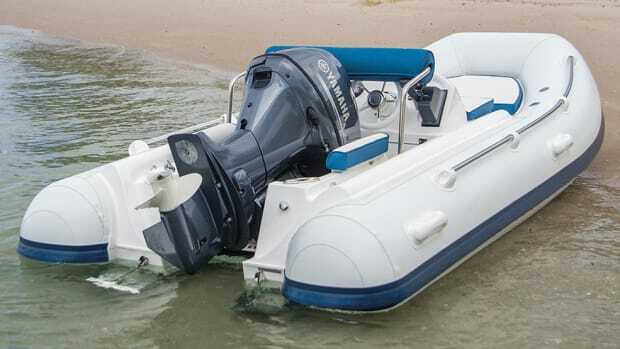 J>ust as early life once crawled out of the sea, this Sealegs tender is an amphibian that cannot only take you from yacht to shore, but then extend its three wheels and roll right up on shore to explore at speeds of over 6 mph. 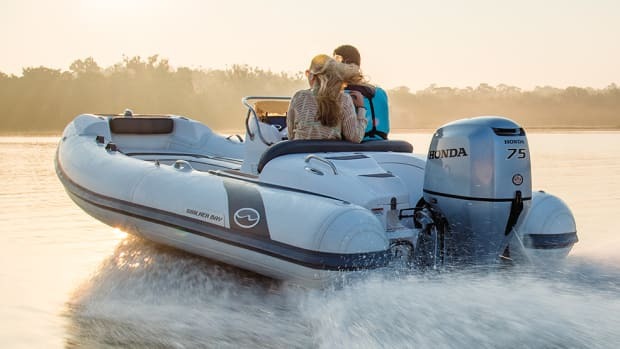 On the water, a 115-horsepower outboard provides speeds up to 40 knots while a 22-horsepower inboard engine powers the hydraulically lifting legs and wheels on land. 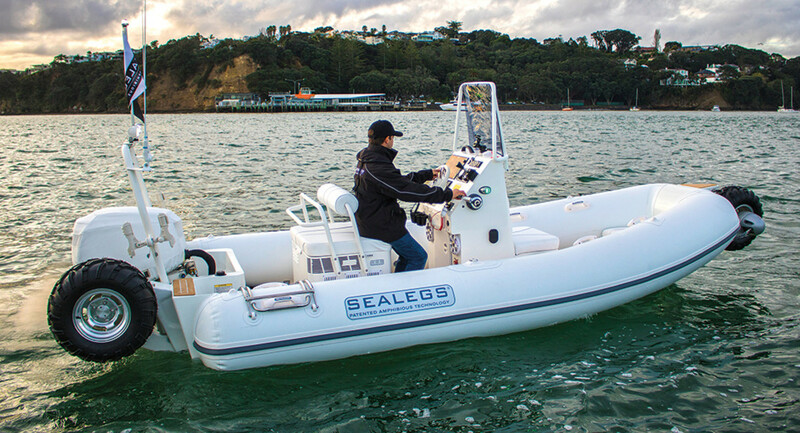 With all-wheel drive to provide traction on beaches, the Sealegs has automatic braking for safety as well as power steering. 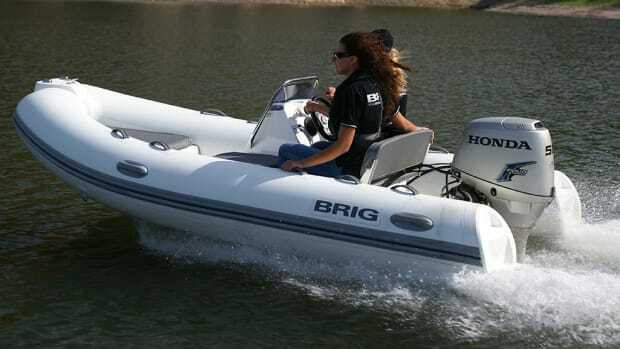 Difficult terrain can be overcome using the all-wheel steering. 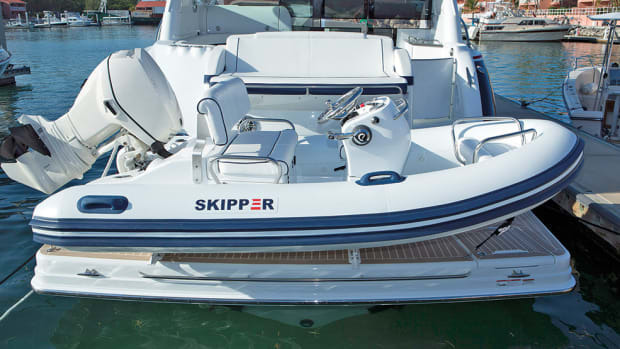 The hull is just over 16 feet, while the wheels-up length is 20 feet. 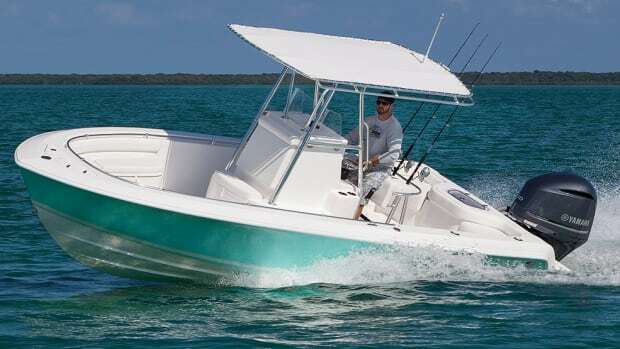 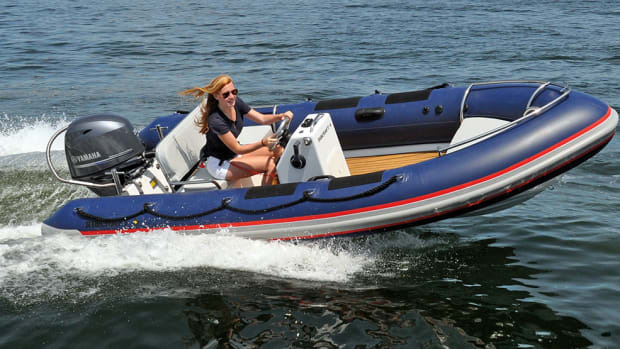 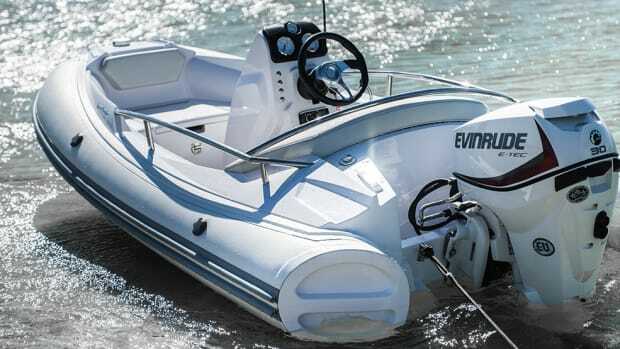 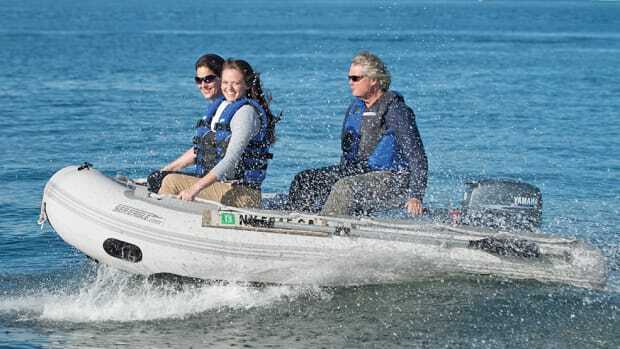 The carrying capacity is six persons or 1,102 pounds, with center console steering and a reversible bench seat. 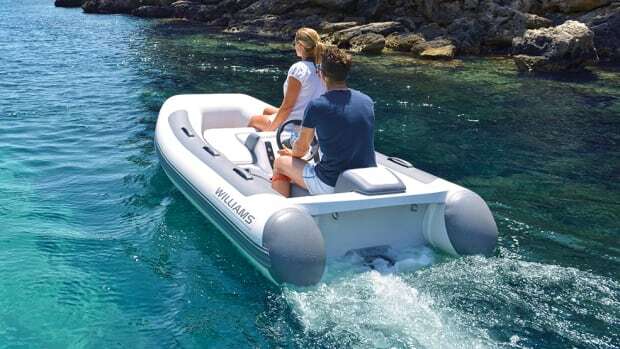 Perfect for a quick run to the grocery store from your yacht!